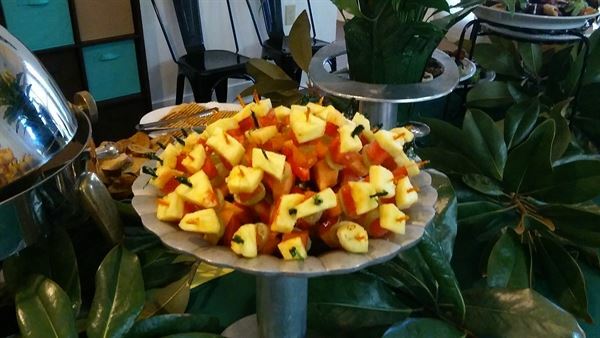 Personal attention and exquisite food define our catering service at Bosschi Catering & Concessions Inc. Give your guests the royal treatment and put our professional talent at your disposal. Our highly trained culinary personnel commit themselves to providing attentive service and elegant food for your special occasion. No matter how challenging your event may be, we have the necessary skill and equipment to provide your party with the outstanding menu it deserves. Don’t limit your party planning. Our convenient combination of quality and affordability allow you the freedom to plan the rest of your occasion however you would like. If you have any questions about what we have to offer, please don’t hesitate to contact us. We look forward to tailoring our abilities to your upcoming event.Bosschi Catering & Concessions Inc customizes our services to fit your event. We are open to any suggestions you might have to make your affair memorable. The possibilities are endless, and the food, scrumptious. We can work with you to develop a menu preference, or surprise you with our own.